The Tennessee Tribune, Nashville’s Black community, and people concerned about equality and social justice across this state are losing a good friend and conscientious educator and person with the news that Vanderbilt Chancellor Nicholas Zeppos is stepping down from his position on Aug. 15 after more than a decade of exemplary service. He plans to take a year’s sabbatical, then return to Vanderbilt as a law professor. 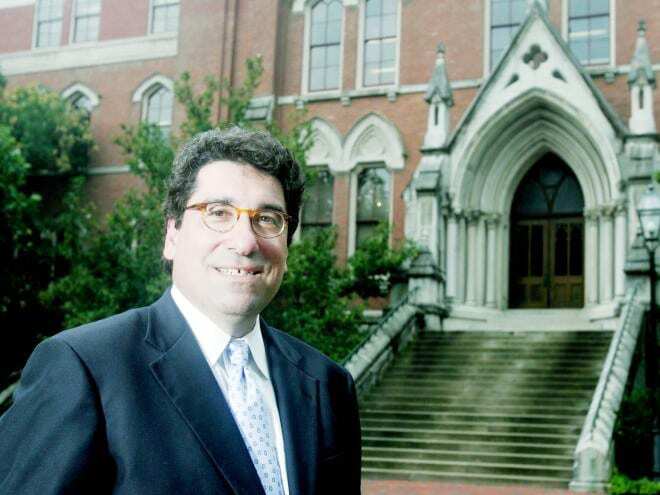 Dr. Zeppos initially joined Vanderbilt’s faculty in 1987 as an assistant law professor. He became the chief academic officer in 2002 replaceing Gordon Gee in an interim role in 2007, then was appointed chancellor in 2008. Since that time he has done many great things at Vanderbilt, but none more significant than helping change the school’s image from one of a minimum indifference, and at worse hostility towards the city’s Black neighborhoods and institutions, to a place that champions diversity, supports inclusion in hiring, and has greatly improved and spearheaded interaction between Vanderbilt and Nashville’s HBCUs. He was instrumental in changing the name of a major building on campus. Confederate Memorial Hall had stood in the middle of the school’s Freshman Commons as a beacon of support for ideas and traditions directly opposed to Civil Rights and social justice since 1935. Dr. Zeppos not only publicly backed the name change, he helped lead the fund raising effort that ultimately repaid the United Daughters of the Confederacy $1.2 million, permanently removed Confederate off the building. 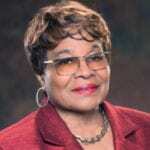 His Chancellor’s Lecture series brought on campus such noted scholars as Drs. Michael Eric Dyson and Jelani Cobb. Dr. Zeppos even did a podcast with Dyson that got nationwide attention. It was even more noteworthy because in the ‘90s Dyson was rejected for a job heading the school’s African American studies program despite a highly positive recommendation from a search committee. Dr. Zeppos made history by hiring a number of key appointments throughout his tenure, putting both Black men and women in prominent administrative roles. II was named associate vice chancellor for community relations with the division of Government and Community Relations. And those are just a few of the key appointments for Blacks while Zeppos has been at Vanderbilt. Closer to home, Dr. Zeppos has worked tirelessly with the Tribune in our initiatives to assist and bolster opportunities and experiences for aspiring minority journalists. He has been a familiar figure not only in our office on Jefferson Street, but at various events hosted by and/or at Fisk, Tennessee State University, Meharry and American Baptist University. He is no stranger attending Black community events, and he’s been someone who hasn’t just mouthed platitudes about diversity and inclusion, but repeatedly proven he truly supports those values. Chancellor Nicholas S. Zeppos was honored in 2017 as part of the 10th annual Literary Luncheon presented by the Nashville chapter of the Les Gemmes Literary society. Zeppos received the Dr. Evelyn Fancher Award, named for a prominent Nashville educator and charter member of Les Gemmes Inc. He was recognized as a champion of the attributes of self-worth, inclusiveness, strong educational development, sound research and a commitment to respecting and celebrating life, courage, truth, leadership and strong character development. Zeppos was also recognized as a leader in the Nashville community and specifically for the university’s efforts in removing the name “Confederate” from Memorial Hall. Vanderbilt’s history and interaction with the Black community prior to his becoming chancellor was a very poor one. Some low points include the expulsion of Rev. James Lawson in 1960 for his participation in sit-ins (a decision greatly influenced by segregationist Banner editor James G. Stahlman, then a member of the university’s board), the mistreatment of their first Black basketball player Perry Wallace in the late ‘60s, or the snubbing of Dr. Dyson in the late ‘90s. But under Dr. Zeppos that ugly track record has been more than balanced by courageous measures and significant appointments. Whoever Vanderbilt hires as his successor will have a very tough act to follow. We hope that person’s commitment to social justice and equality, and attitude towards their educational colleagues, especially HBCUs, will equal Dr. Zeppos. He has not only upheld Vanderbilt’s reputation as a place that treasures education and academic achievement, but improved its image into an institution that played a role in helping make this a better city, and part of a better nation. The Board of Directors of the Tribune named Chancellor Nick Zeppos “Man of the Year” in 2017 because of his strong commitment to valuing all human beings. He is a man of great wisdom, committed and dedicated to the success of Vanderbilt University. His legacy as Chancellor is one of overarching commitment to making strong areas stronger and strengthening areas that are weak, thereby uplifting in all areas.